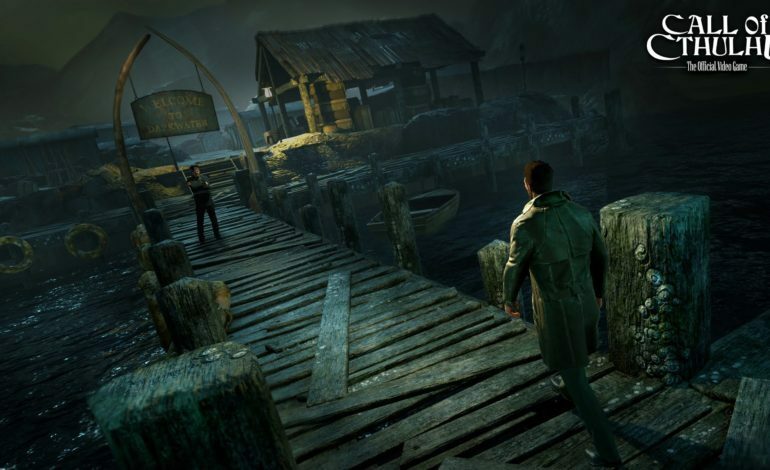 A collaborative stream between publisher Focus Home Interactive and developer Cyanide Studios gave players a look at the first hour of Call of Cthulhu. Based off of the tabletop RPG inspired by H. P. Lovecraft’s works, the game is planning to release October 30, just before Halloween. In the hour of gameplay shown in the demo, the protagonist, hard-drinking detective Edward Pierce, wakes from an ominous nightmare and is hired to help find a missing person. After a boat trip to Darkwater Port, Edward questions the townsfolk, gets into some problem-solving, takes a nighttime stroll through a graveyard, and finally, explores an old mansion. The game is atypical of normal RPGs, as it is primarily based around exploring the world and talking to people instead of fighting. Like the tabletop RPG that inspired it, Call of Cthulhu is primarily focused on using non-combat skills to avoid conflict. Combat is possible, both in the tabletop RPG and in the video game, but it’s generally highly dangerous, hard to heal from, and becomes much more difficult against eldritch beasties. Skills and stats normally used for combat are re-purposed for non-combat uses. In the demo, for instance, the players boost Edward’s Strength, making it easier to intimidate people and move floor grates that block his path. The tabletop RPG is known for having a sanity system that measures the mental stability of the player’s characters. Instead of a meter or a number, like in the tabletop RPG, Call of Cthulhu has a global system that changes how Edward feels and how he can react. Getting hammered, reading occult books, and witnessing paranormal events can eventually cause Edward to lose his marbles, but it can also provide helpful insights and give new dialog options. Call of Cthulhu releases October 30 for the PC, PS4, and Xbox One: just in time for Halloween.